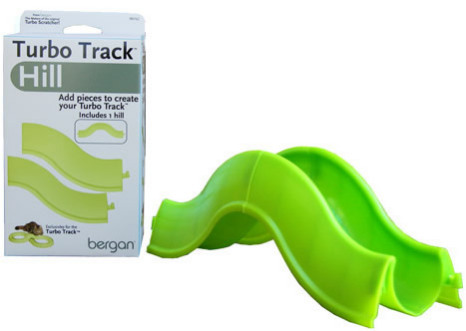 I'm always looking for interactive pet toys, and the Bergan Turbo Track Cat Toy is definitely one. 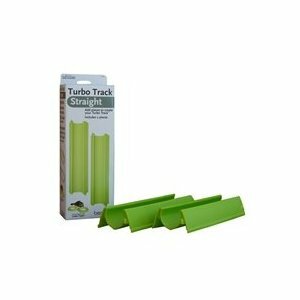 This toy reminds me of a child's toy railroad tracks, because you can double it or add separate tracks to it to make 'infinite' fun for your cat. 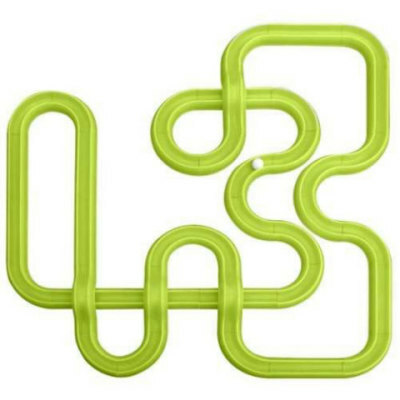 Speaking of 'infinite,' I'm partial to the infinity shape for the Turbo Track because I think it's the most challenging arrangement of the kit's parts but, as you see in the photo below, you can arrange several shapes for variety. In the video, Tangee was playing with a lighted ball along with the white ball that comes in the Turbo Track kit. The extra ball was the Bergan Star Chaser, which is sold separately in packages of one or three. 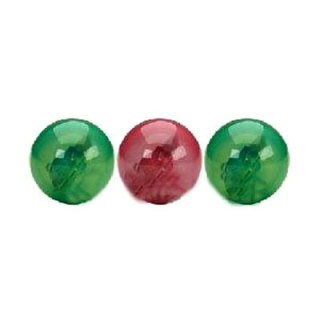 The lit balls add another layer of fun for your cat, using one ball to move the other, like she's playing pool! 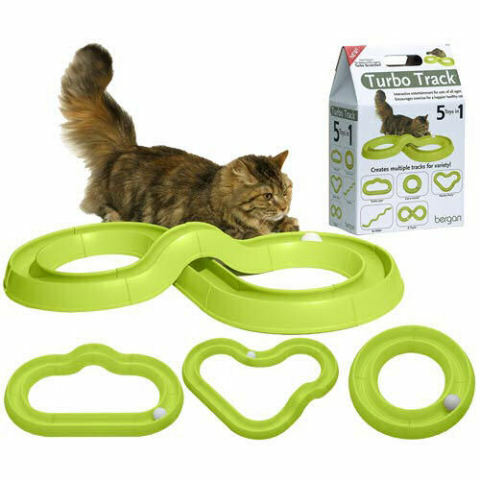 Here's another interactive layer of fun for your cat: Turbo Track Scratch Pads that fit perfectly within the infinity or figure eight track setup. 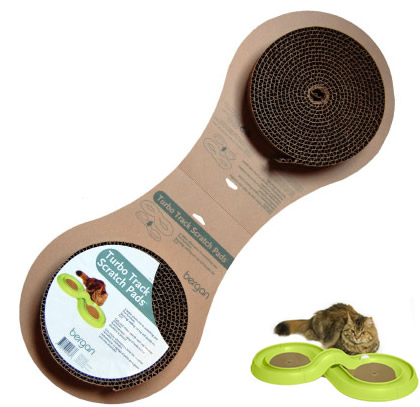 Not enough to keep your kitty busy? Well, there's always more you can do with the Turbo Track. Try this, for example? Okay, so you don't have to buy all of these attachments! But, the way I look at it, if you do, you'll be making your cat "infinitely" happy and you'll spend far less than you would if you outfitted a Zhu Zhu Hamster that's not even a real hamster! 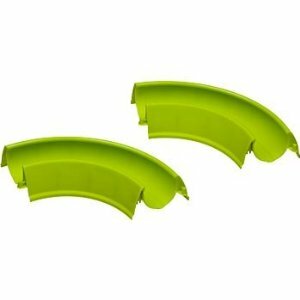 related read: 19+ Best Interactive Pet Gifts: Toys for Cats, Dogs, Horses, Birds, Ferrets and Fish!